Guided by new conductor Nick Forbes, Auckland’s Gay and Lesbian Singers will delight with repertoire highlights, old favourites and new songs in one of the city’s most fabulous acoustic spaces. 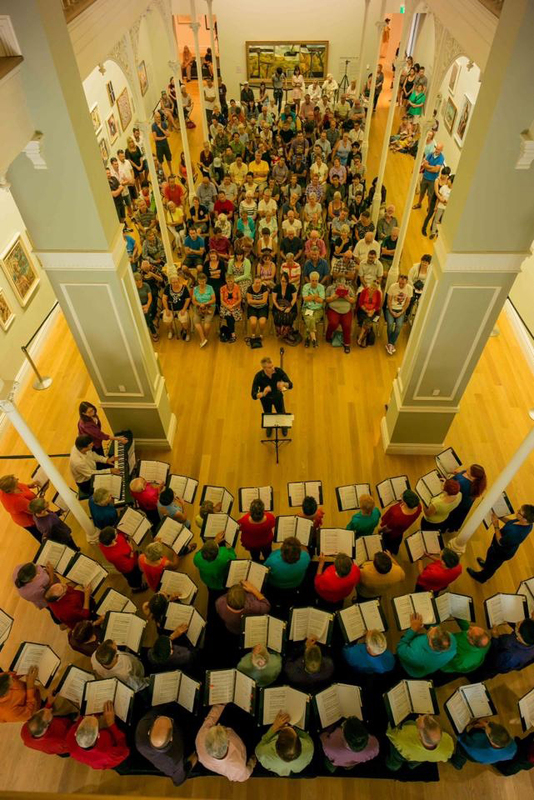 Singing in the refurbished Auckland Art Gallery is a treat for audiences and choirs alike. Every year, this popular event fills to overflowing. So bring a friend and experience joyous, uplifting, late-morning singing and entertainment.